Yes Ross Perot helped the entrenched looter kleptocracy divert voters away from the Libertarian Party. He was repaid in government cash subsidies taken out of the pockets of many honest working people who would rather not coerce anyone. Perot reinforced the superstitious ignorance that caused These States to export brutal prohibitionism to South America, confident that would destroy the economies of Brazil, Colombia, Ecuador and Bolivia while setting up a fascist dictatorship in Peru. It is true that Reagan Administration manipulation of prohibition and tax laws did wreck a prohibition-created source of cash then fueling communist expansion. But the process corrupted the entire Mexican government into a huge 1930s Chicago. Spoiler votes cast for Ross Perot unfrocked the more fanatical zealots the way The Liberal Party platform had in 1932. 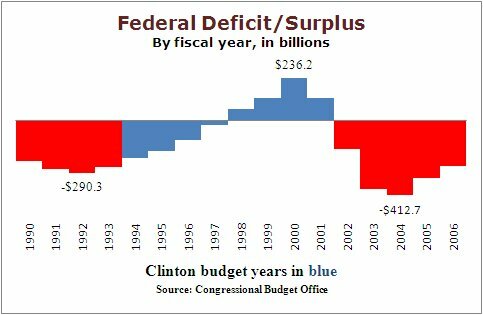 Perot’s spoiler votes reversed deficit spending and led to a surplus just as George Wallace spoiler votes turned Republicans into ku-klux Dixiecrats before the election subsidies law. 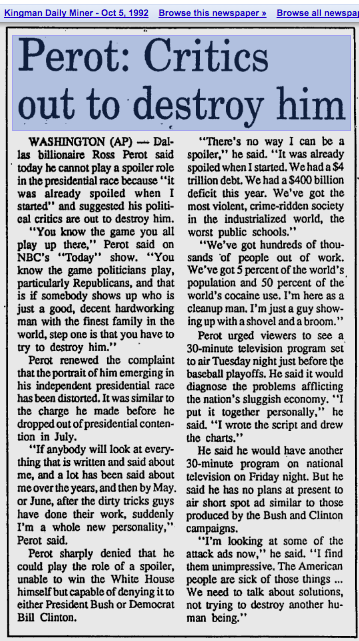 The Clinton years were prosperous thanks mostly to the policy changes caused by Ross Perot spoiler votes. The looter press, naturally, thanked The Kleptocracy. So yes, Eric Trump, you observe correctly, and you can do something to improve the situation. Vote Libertarian in the mid-term elections. Tell fake media that the Nixon Media Subsidies to favor the entrenched parties have polluted democracy. Come clean, follow Dad’s good example and say: “Libertarianism? I like it!” The LP platform, the one that got your Dad the nomination, takes less than half an hour to read. Borrowing our energy and Second Amendment planks landed you in the White House. I’m hoping I can count on your vote NOT as a token of appreciation. We both want back the cleaner elections we had before Richard Nixon altered the tax code to subsidize the initiation of force and undermine American morality. “I like it. A lot of good points…” Those words guaranteed that the desperate, destitute and dishonest Gee Oh Pee urinalysis party would nominate Donald ten months later. That got Republicans government jobs, paychecks–and opportunities to have younger men violently put to death on both sides of the planet. Three will get you five that that looter cartoonist will not quote your mention of the LP on his mudline fed by subsidized media pets.